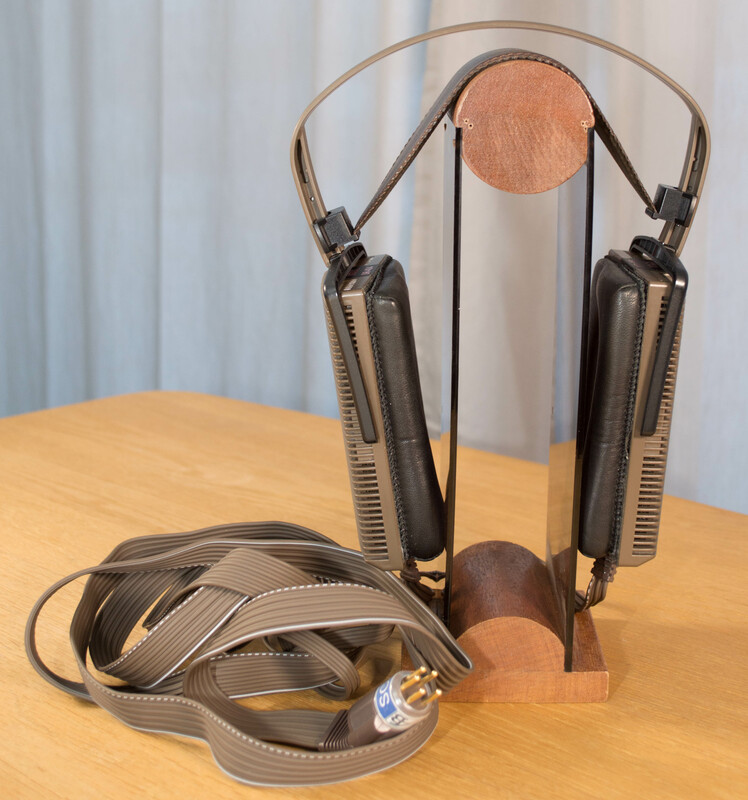 Time to split up the special’s page into two so one for headphones and another one for electronics. 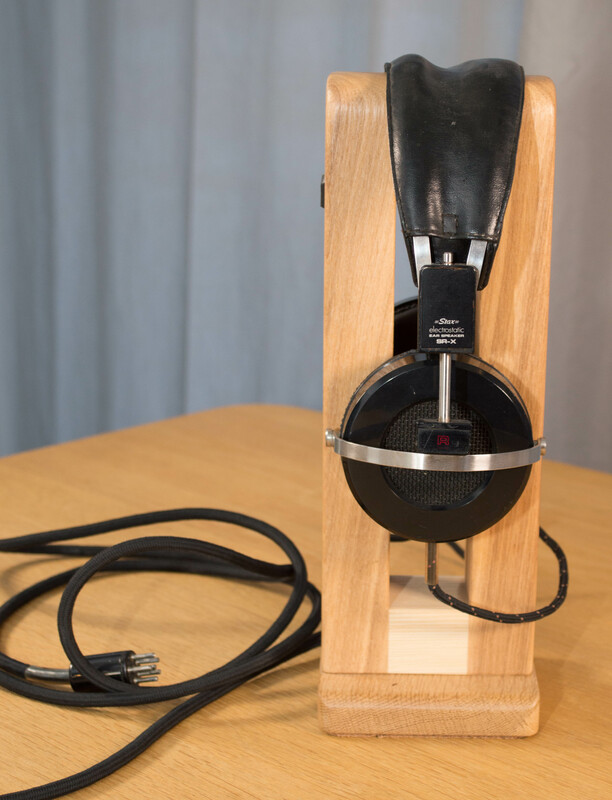 Here I’ll list my used electrostatic headphones, either they were a part of my personal collection or were a part of some lot I bought so I refurbished them before listing. 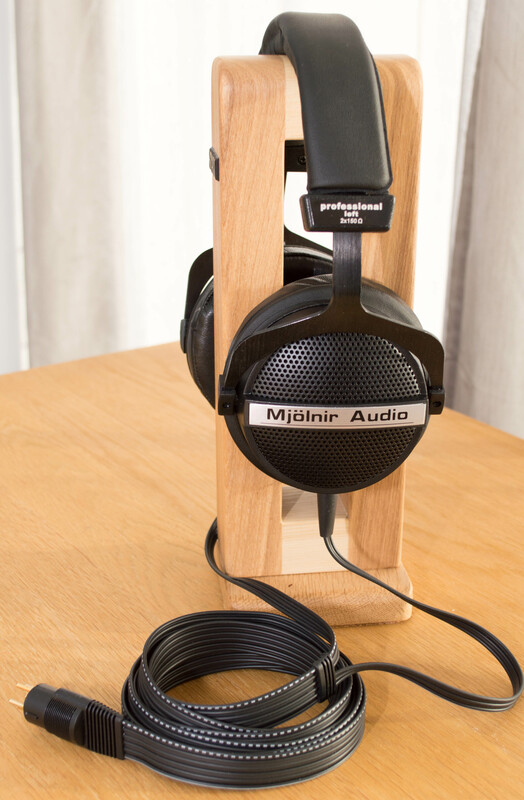 Feel free to contact me at spritzer@mjolnir-audio.com if you are interested in any item here. I will reply to every mail so if you haven’t received a reply within 24 hours then feel free to send me another email. Email gets lost all the time or is flagged as spam. All prices in US dollars (USD). 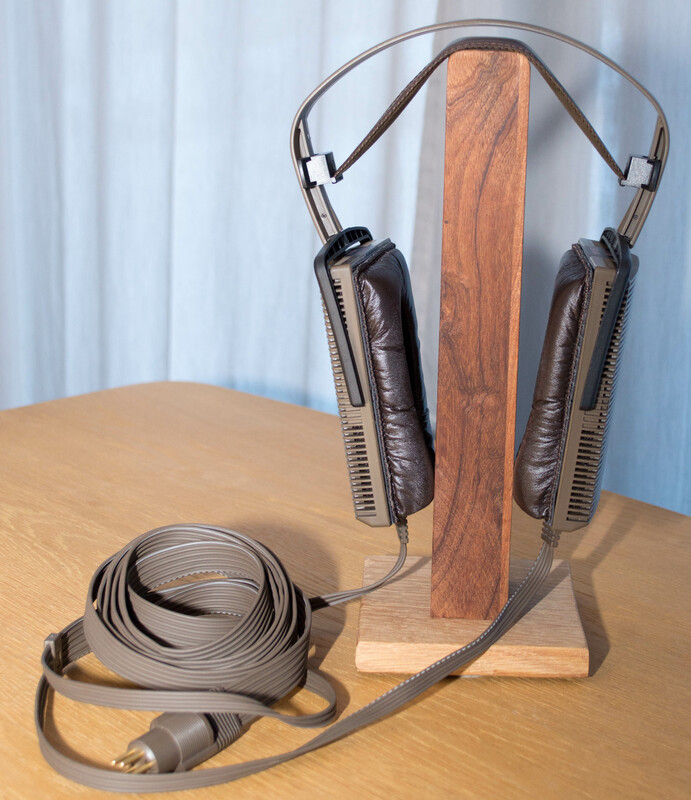 Just a quick note about the used headphones. With all electrostatic phones it is possible that they have developed squealing as debris enters the drivers with age. This is something I actively look for and will put in the description (which most sellers would never do) but I might miss some as it can be so subtle. Most of the time this is a minor issue and only comes into play when nothing is playing or on very quiet passages but it’s something I mention if I come across is. Most of the Stax drivers are glued shut so they can’t be cleaned once this has come up. Also the headphone stands the phones sit on are not included. 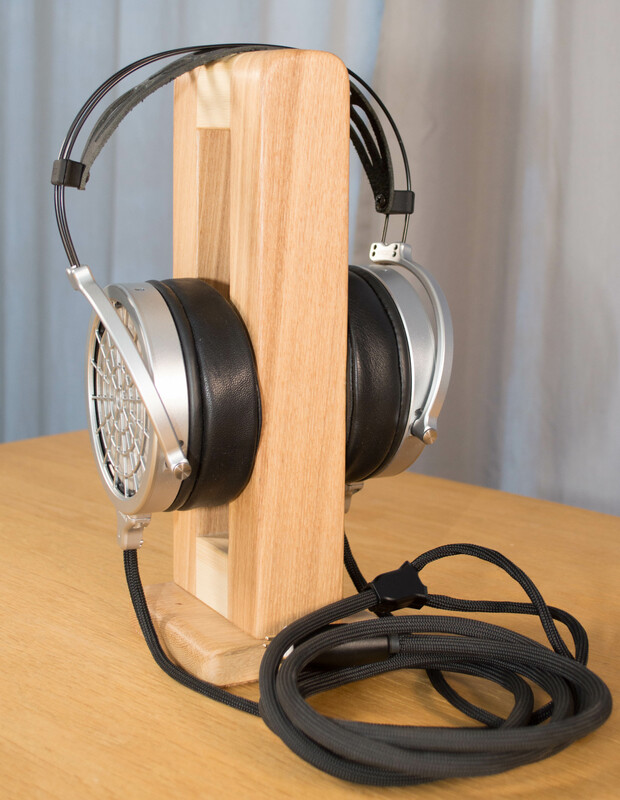 It is no secret I’ve been working on headphones for a while, testing drivers, diaphragm materials etc. to eventually make something on my own. I’m still a ways off from that and new amplifier designs take up the majority of my time but I wanted to start somewhere. So what we have here is a Suprex set from China that I gut and modify. 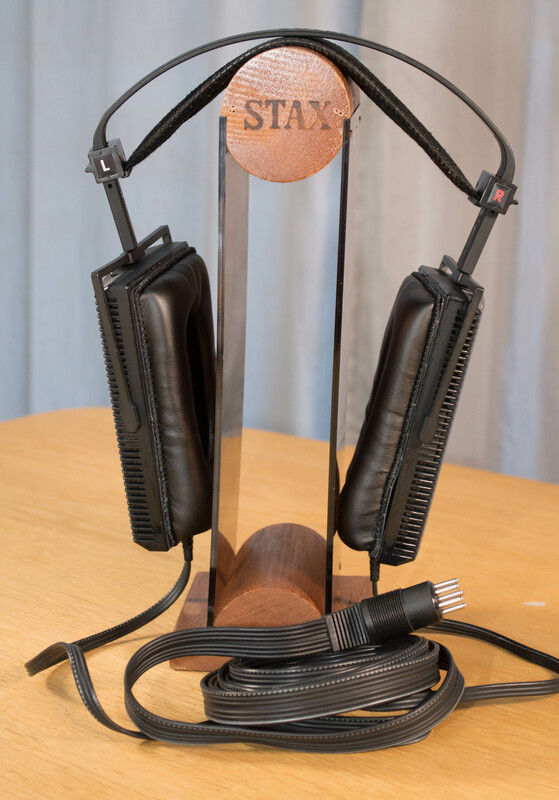 There is a new baffle installed with modified Stax SR-X mk3 drivers which I’ve converted to Pro bias and have a 1.5um diaphragm. 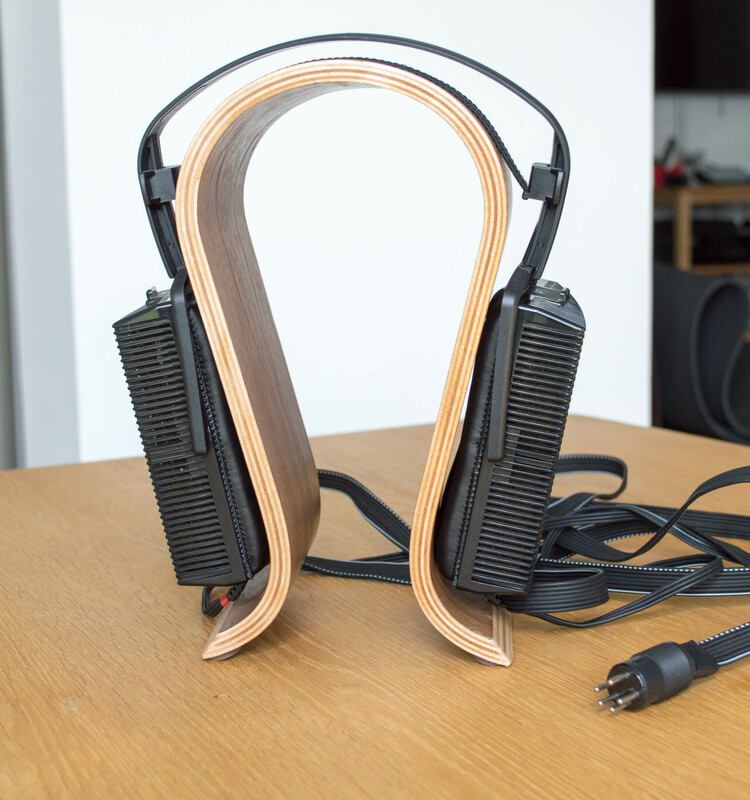 The headphones were converted to dual cable entry and have Stax Wide-PCOCC cables installed (2.5m long). The headband cover is a part from Beyer Dynamic and the earpads are custom made for me. The opening is rather on the small side but that is crucial for the smaller SR-X drivers. The sound I was shooting for was a balanced sound while getting as much extension as I could from the SR-X drivers. That’s the reason why I picked the semi closed donor set after testing a lot of donors. 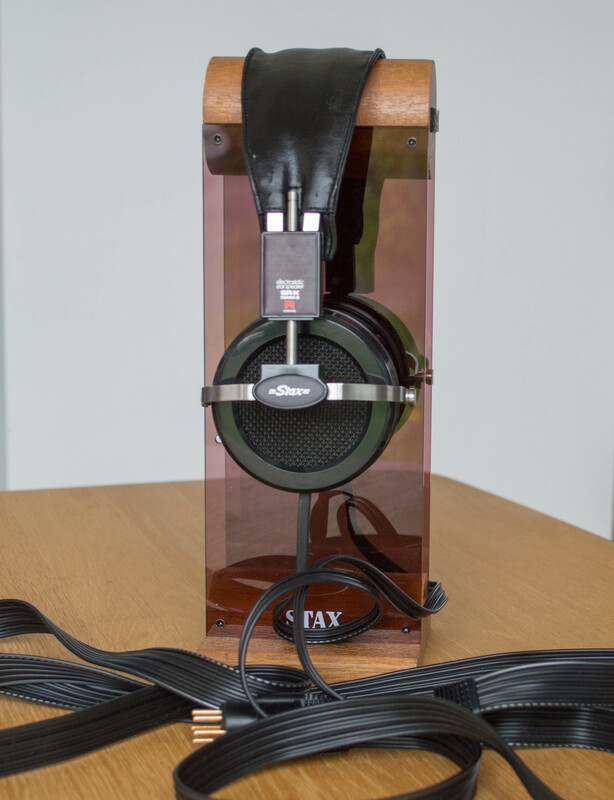 This is not to the level of a Stax 007 but it is a nicely balanced sound. I have a few of these which are all prototypes but I’ve changed them all to the latest version. 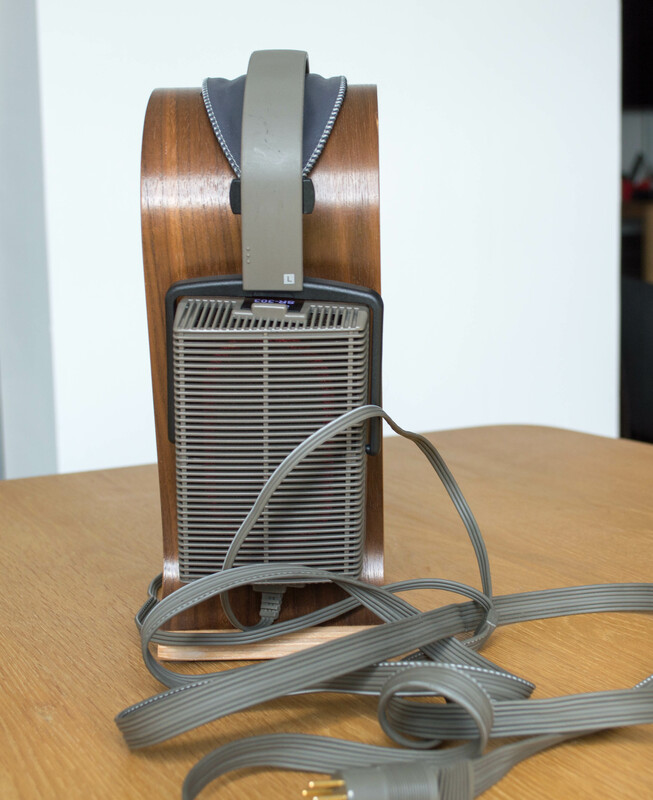 Hifiman Shangri-La Jr. I got these last year as I just had to try them out. I believe these were some of the first made and I was pleasantly surprised. 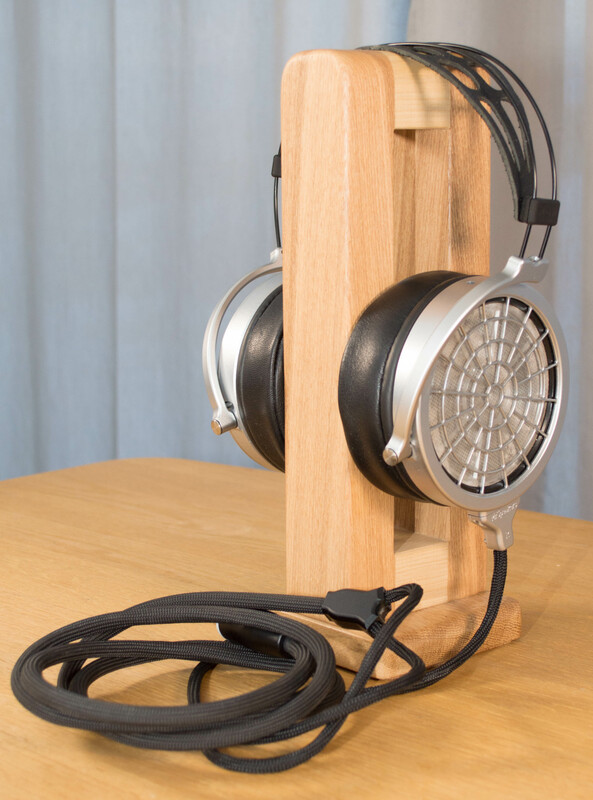 Now the build quality is not good, typical Hifiman as it seems they are allergic to quality materials. 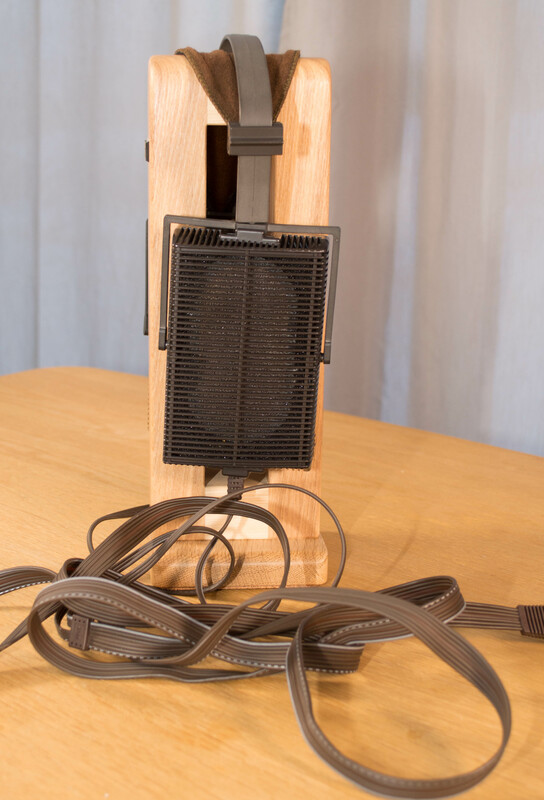 The sound did impress me though so I quickly replaced the cable to a Stax SRE-950S cable. I did not want the full 5M in lenght so I cut it down to 3.5M or so. There are small marks in a couple of places on the housings but they were there from the factory. Otherwise they are like new except for the new usable cable that is. It comes with the original box too. Mr. Speakers Voce. I got these barely used a few months ago so I’m still on fence about selling them I’ll list anyway. They are as new and come with the stupid “display” box which makes shipping way too expensive. Stock these are a mixed bag so I started a long project of trying different earpads for them and ended on the other Mr. 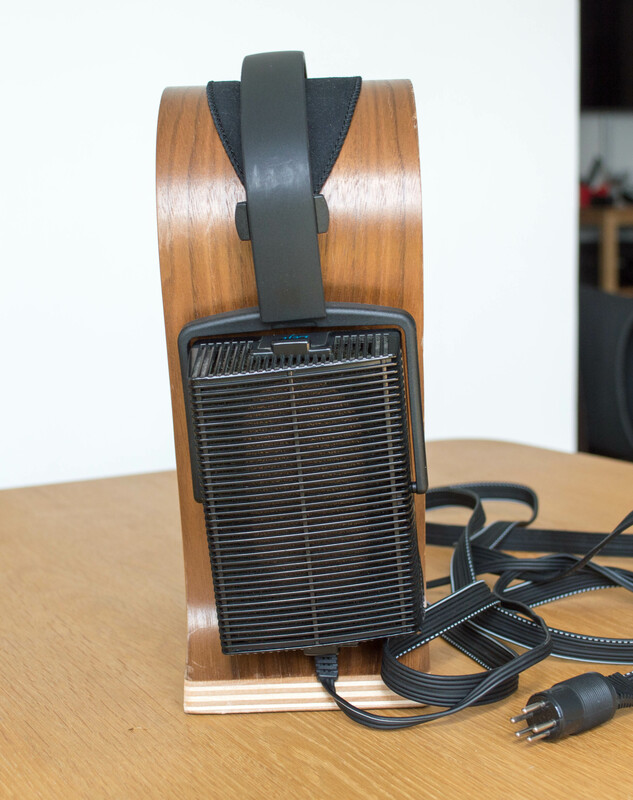 Speakers pads for the Ether. They give the phones a much better tone and hide some of the issues these have. They like new and the only issue is that one of the screws securing the cable entry on one side has fallen out. This seems to be an issue with these so yeah, that screw is lost. I don’t have a similar one in stock but it really doesn’t matter for normal use. Shure KSE-1500. This is one that surprised me a lot when I got them as quite frankly…I wasn’t expecting too much. Turns out the amp is very well done and they sound great too. I used them while traveling and even on the pretty long flights to the US, comfort was excellent and zero issues with them. 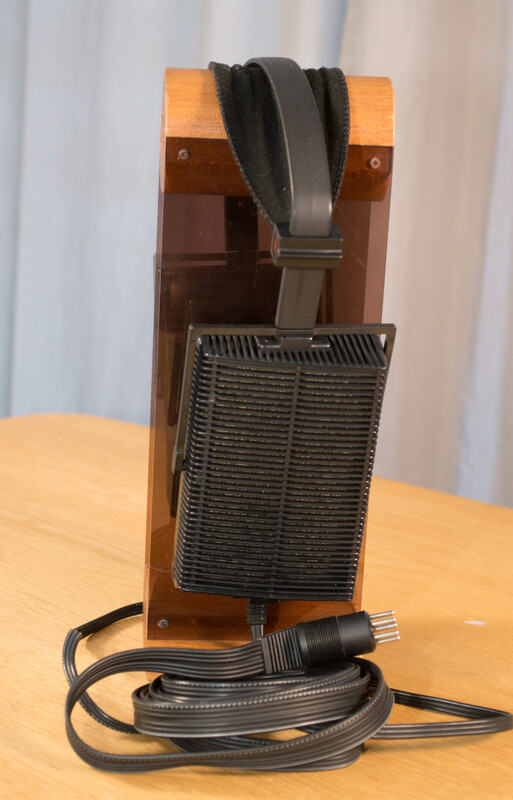 There is some slight wear on the top of the amp but otherwise it is like new. Comes with the original box and all the included accessories. 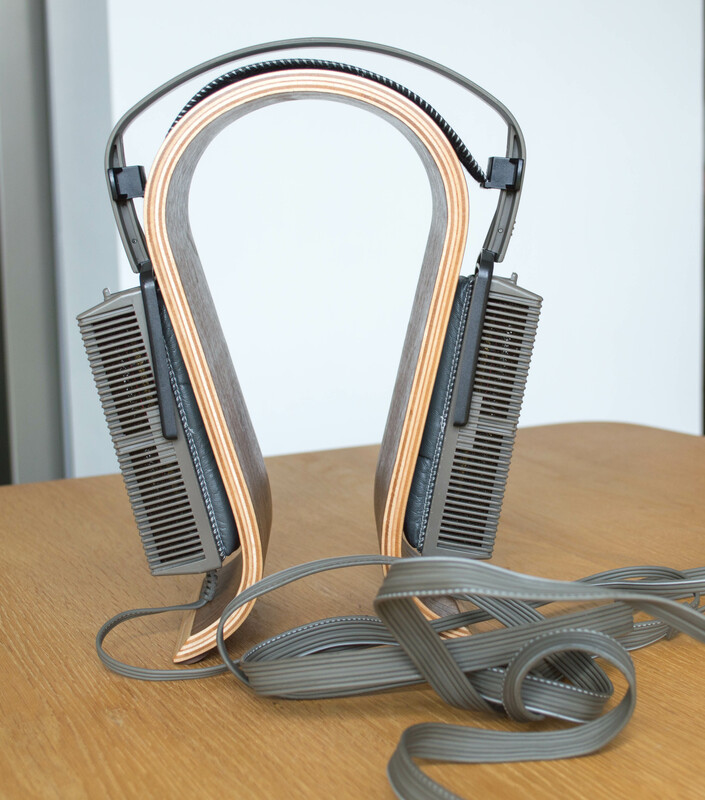 As a rule, I buy every electrostatic headphones I can get my hands on and the recent Monoprice Monolith is no exception. 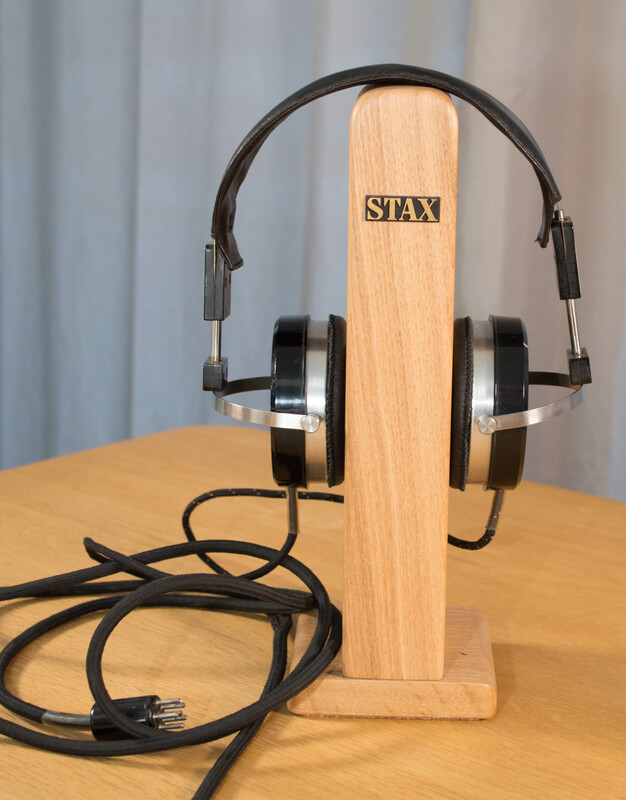 The headphones were a pleasant surprise as I quickly made an adapter to use them on the Stax standard. 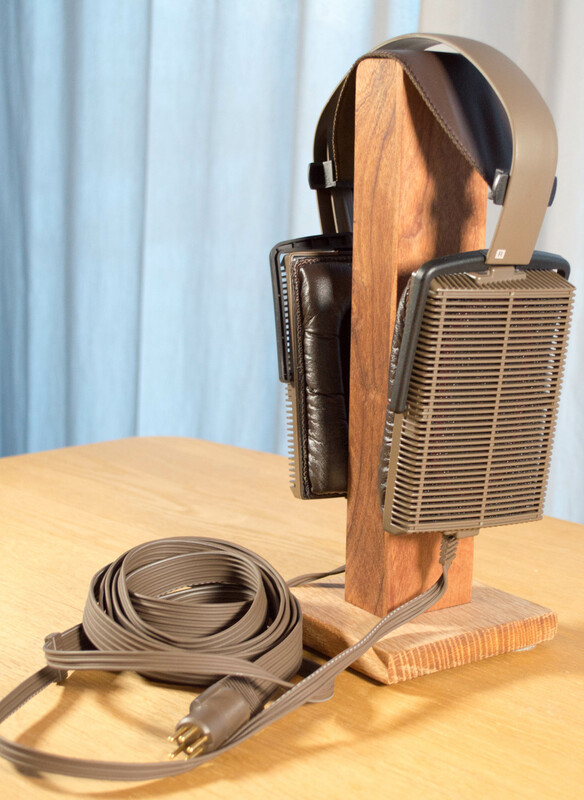 Bass is a bit limited but they are very well made and nice leather parts everywhere. Bass is a bit limited which is pretty much the only issue I have with them. Further clearing of my collection, my SR-404. This was the nicest set I’ve ever owned so was a part of my Lambda collection. It is pretty much like new with new earpads. 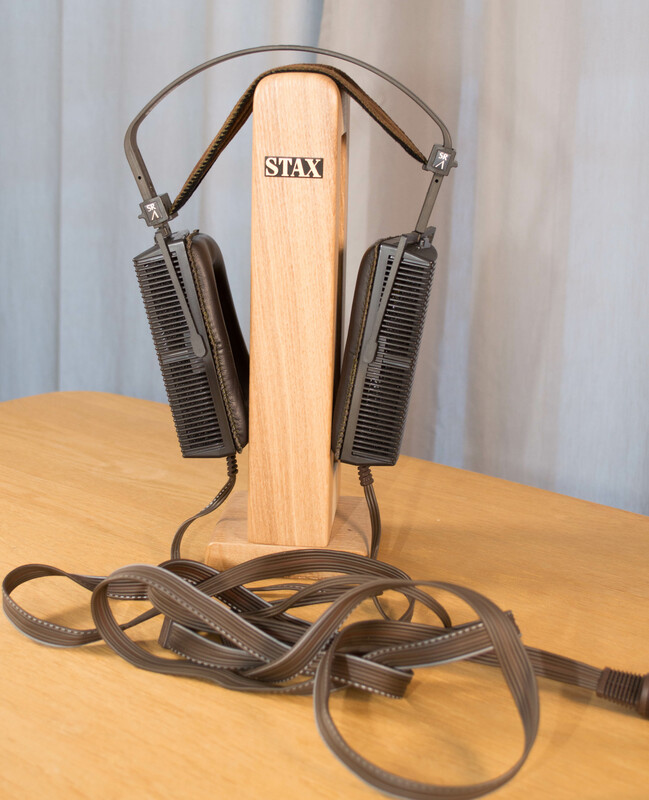 Here is a super rare one, the Stax SR-X mk1 aka. 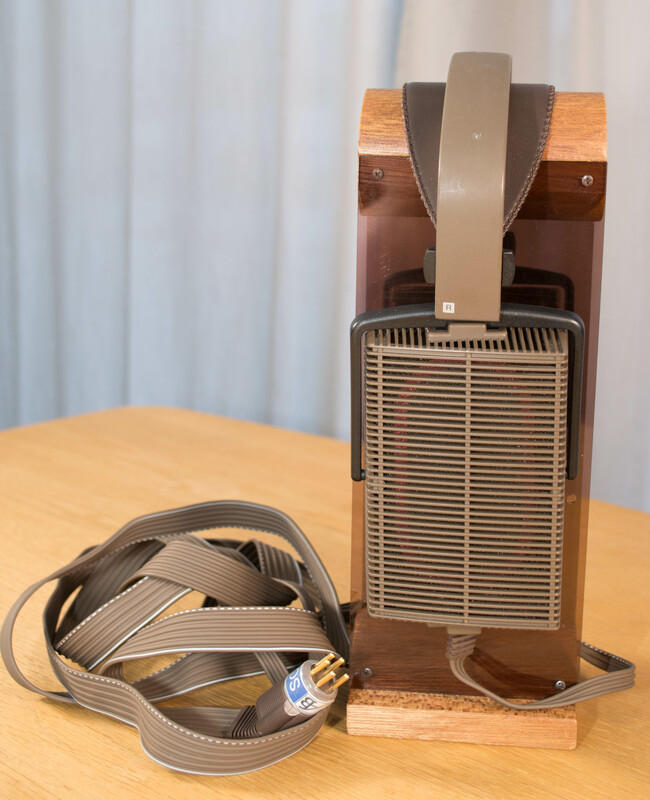 the first Stax to ever have a mesh driver. This one was only out for a couple of years 1970-1972 when it was replaced with the Mk2. That was also short lived as the Mk3 took over in 1975. This one is up there with the SR-1 in terms of rarity but I’m trying to cut down my collection so it must go. Comes with new SR-X earpads and is in very good condition for a set that’s this old. 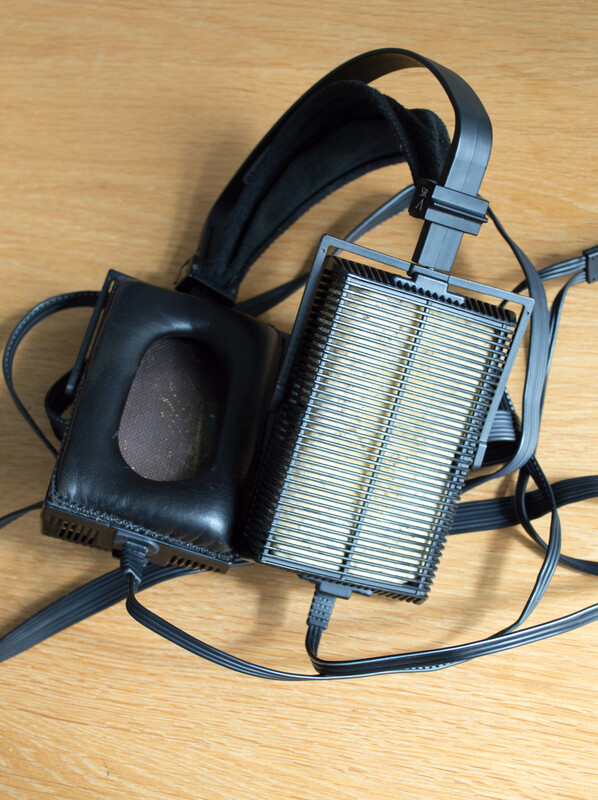 Another rare beast, the Airbox SC-1 or the modified SR-404 to be exact. Now what was done to these is not clear but they do sound a bit better than a regular SR-404 set. Now cryo treatment is utter BS so the likely scenario is hand picked units from Stax. This is further backed up by how similar these are to the later 404LE in terms of sound. Still a lovely set and with the EP507 leather pads installed. Now the SR-Lambda, normal bias. This was the unit in my personal collection and is as close to perfect as possible. One of my favorite sets but it’s time to thin the heard substantially. Now the SR-Lambda Signature. This one is again from my personal collection and made like new again. New earpads and the foam in the earcups was replaced with new stuff from Stax. 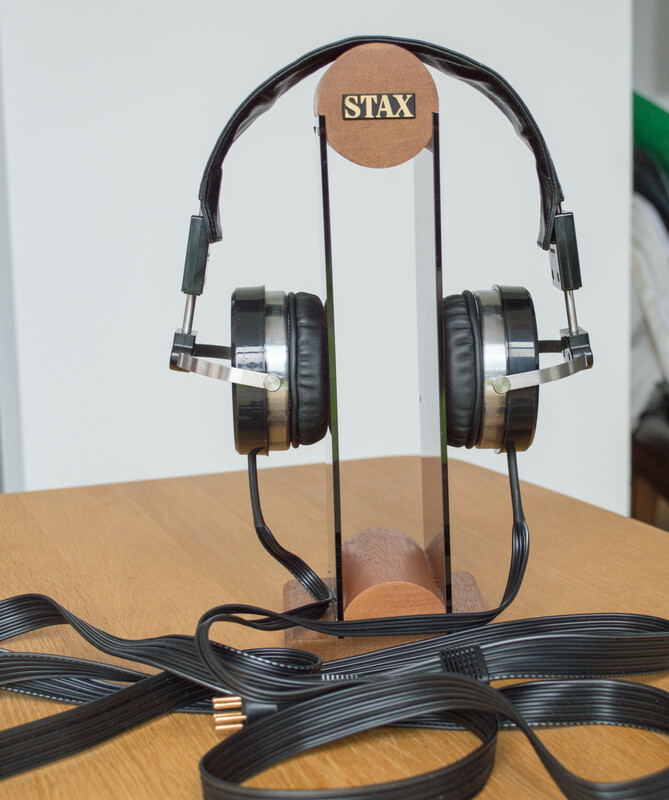 Stax SR-303 in very good condition. The plan was to sacrifice this one to make a Sigma 303 but I found a poor condition 404 with excellent drivers so this one is spared. This is one of the last made which is evident by the silver protection mesh inside the drivers. It has the stock earpads but the foam is all gone. Not a problem in my book so I just cleaned them out and tried them. No noise issues, no imbalance or anything like that. This is an odd one, it seems to be a SR-Lambda Spirit but it has a new arc with no markings on it. 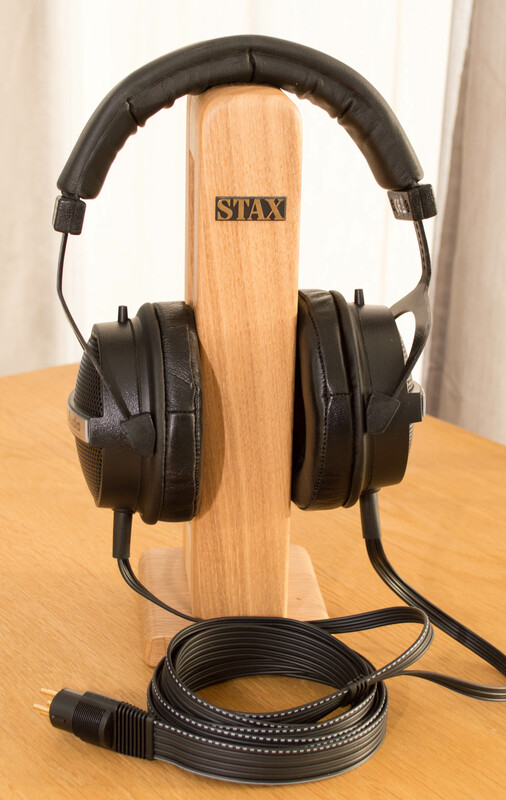 This has clearly gone in to Stax for servicing at some point as the arc is new and so are the earpads and the damping inside the earpads. They do sound lovely and I bought them just because I was curious. I’ve been trying to trim my collection down so these are up for sale. This is the second SR-Lambda I have for sale. 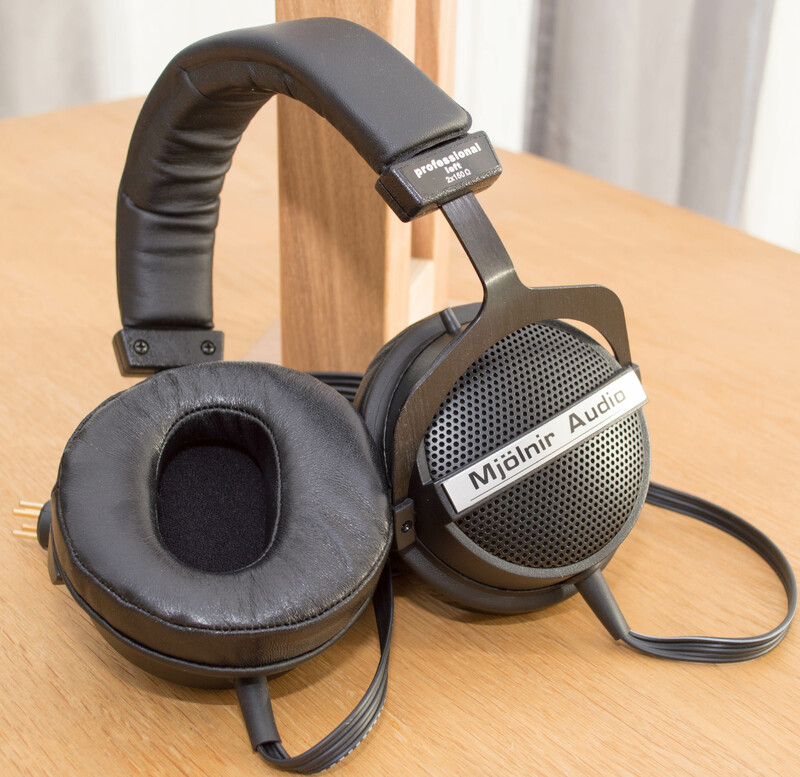 This one is fully stock and with the original earpads. They were in good condition so I left them in place. The foam is long gone but it has no impact on the sound quality. I took this set apart as well to remove the crumbling foam from inside the earcups and cleaned the damping pads. 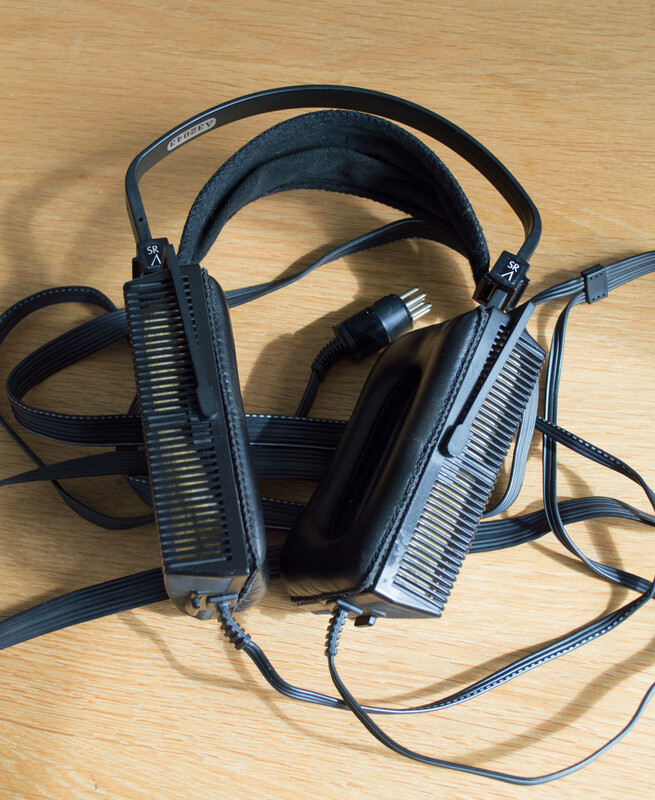 I also removed the silistors inside the earcups as they can cause problems as they age.